I am hoping to start doing some basic maintenance on my watches, and as well as a few tools I wanted to get a couple of spare crystals, both to practice with and also on the expectation that I will be acquiring another 7A38 over the coming weeks/months/years and it would probably need a new crystal fitting. Some net research has thrown up dozens of threads on this topic, with much input from Paul (and possibly other member here). So, what better place than to ask these very basic (sorry) questions. 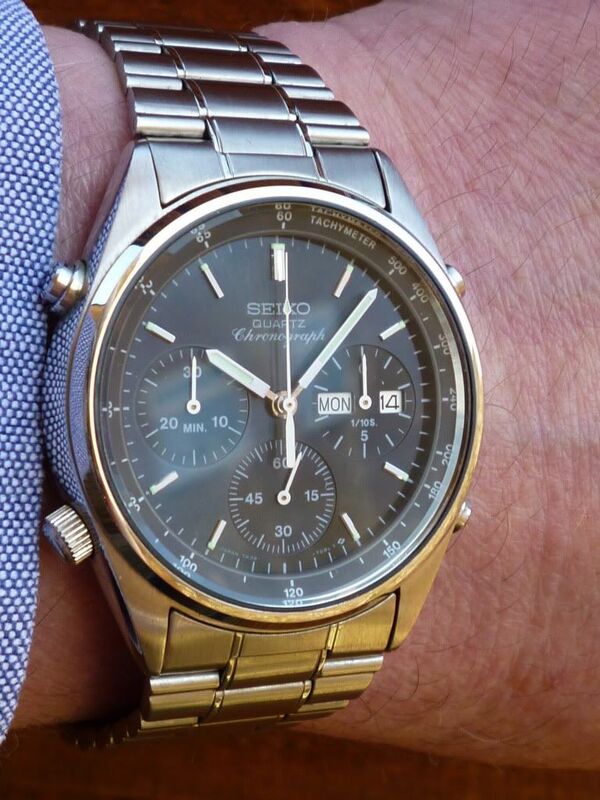 1) It appears that Seiko crystals are no longer available, but that people recommend both Cousins and Sternkreuz. What puzzles me is that there are different sizes (both width and height ) being discussed, typical size being 31.0mm and 32.0mm. Do all 7A38's use the same crystal? If so, what is it? If they don't (and Paul has actually given me the heads up here), is there a definitive list of what fits what? 2) When changing a crystal, is there a need to fit a new gasket? If so, I guess this links up to my above questions as the gasket and crystal must be related (size wise). 3) While we're on the subject of gaskets, are all 7A38 case back gaskets the same? I suspect not (as I've seen two types of case back, screw down and press fit and I would expect these to need a different gasket. 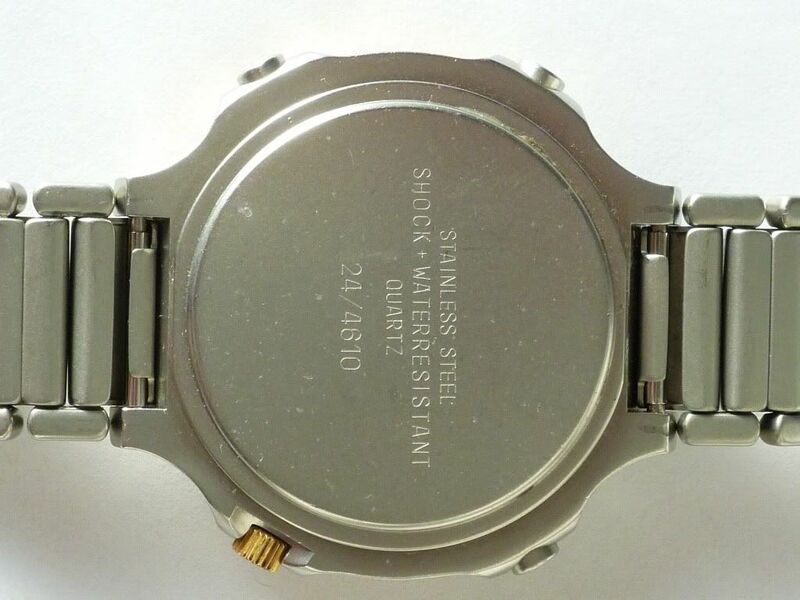 What gasket is needed for what watch? Apologies if these questions sound naive (I know thy are) and simplistic. I can see why Paul (and I guess many others reading this) make such a thing of a watch comprising ALL of its correct parts, and not being made up from bits which fit (or maybe don't). It must be an absolute mine field buying old and discontinued watches which have a potentially unknown 20yr+ history behind them. Thanks for the help and guidance so far Paul. and worked out some of the answers for yourself, the least I can do is copy and paste what I already had pre-prepared in Word. 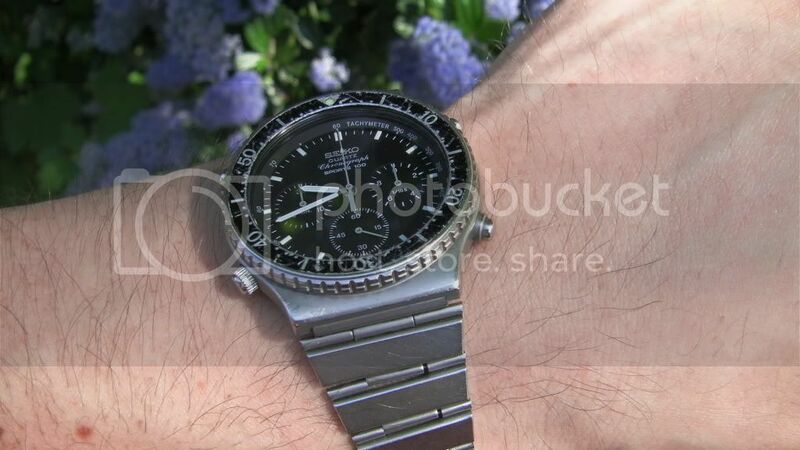 1)	Not all the original Seiko crystals used in Seiko 7As are unobtainable. Most of the conventional flat round ones are no longer available, but it’s a relatively easy matter to find replacement ‘generic’ crystals – be it Borels, Cousins or Sternkreuz or Superparts. Fortunately, there are still dwindling supplies of some original Seiko domed crystals around, which can be found with a little effort. 31.0mm and 32.0mm diameter by 1.5mm thick flat round just happen to be two of the most commonly used crystals in ‘regular’ 7A38s. 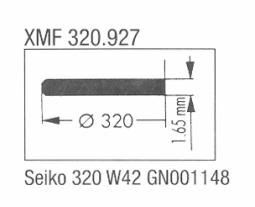 The 31mm Ø x 1.5mm is used in the -702x, -7190, -726x, -727x, -728x case models (although Seiko have 2 different part numbers allocated). The 32mm Ø x 1.5mm is used in the -706x case models. But there are plenty of other sizes used in different case styles ranging in 0.5mm increments from 27.5mm Ø (domed), right up to the 32.5mm Ø x 1.5mm flat used on your 7A38-7000. They also vary in thickness from under 1.5mm to nearly 3.00mm thick on some of the ‘Divers’. Some have polished upper bevel edges; some don’t. 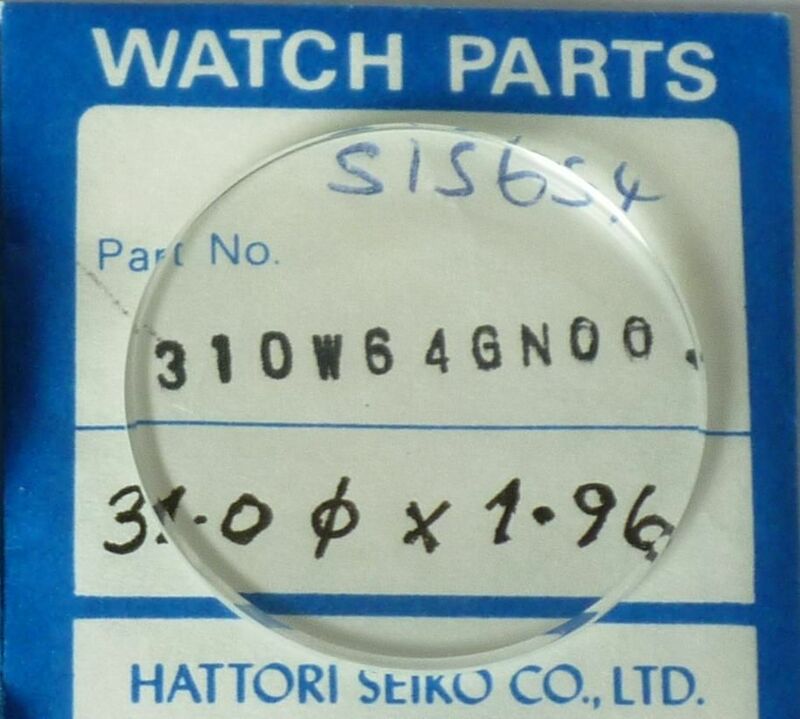 I haven’t counted them up, but there are probably at least 20 different part number crystals used across the whole 7Axx range - The first 3 digits of a Seiko crystal part number tell you its overall diameter, but the remaining characters are seemingly insignificant (other than to identify it specifically, or sometimes as a press or tension fit crystal). 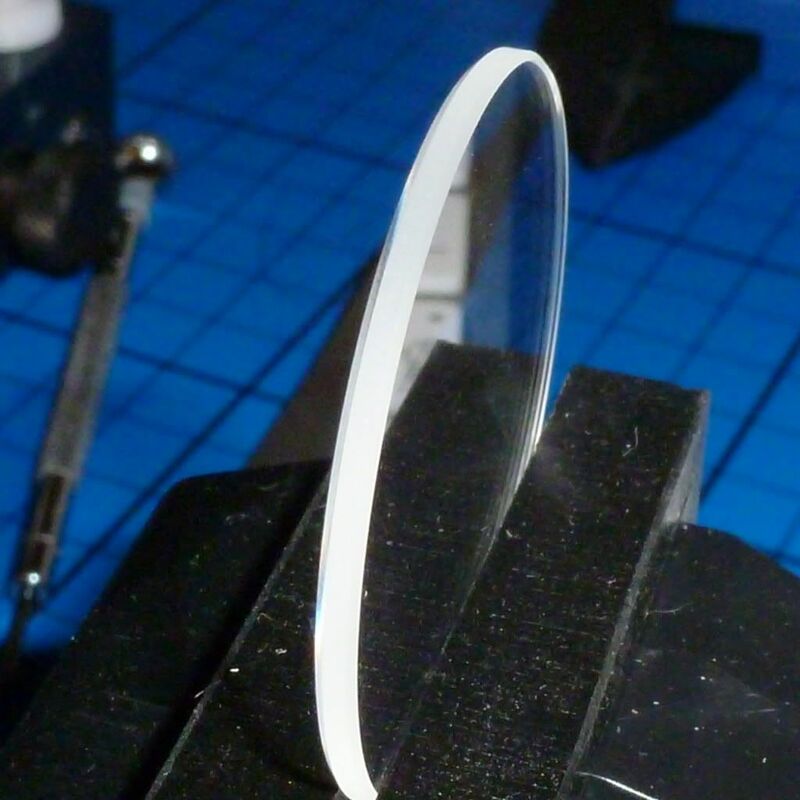 Here’s a 31.0mm Ø crystal used in the recently discussed 7A38-6020. It’s over 2.5mm thick and double domed with a bevelled edge ! 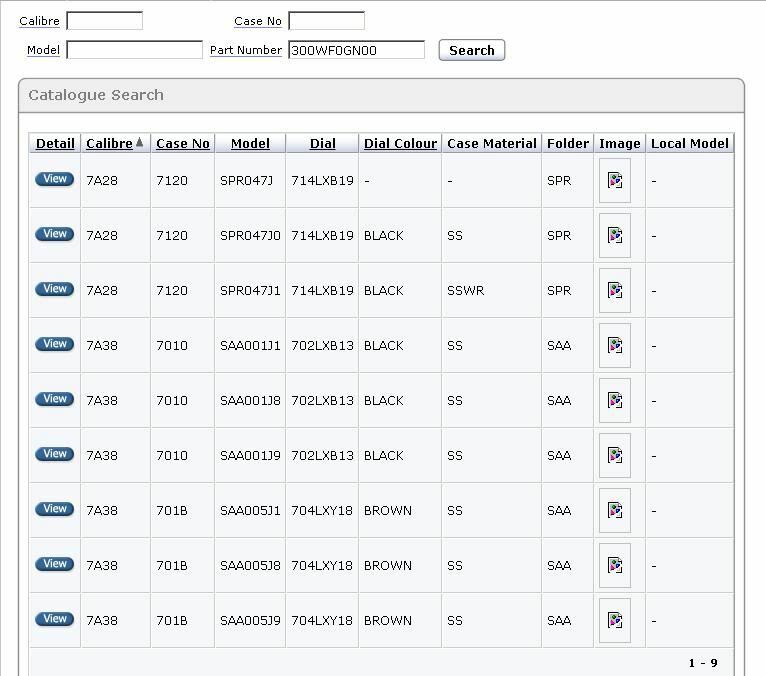 There is an almost complete definitive list of 'what fits what' available online, and it belongs to Seiko - their Oceania database search. 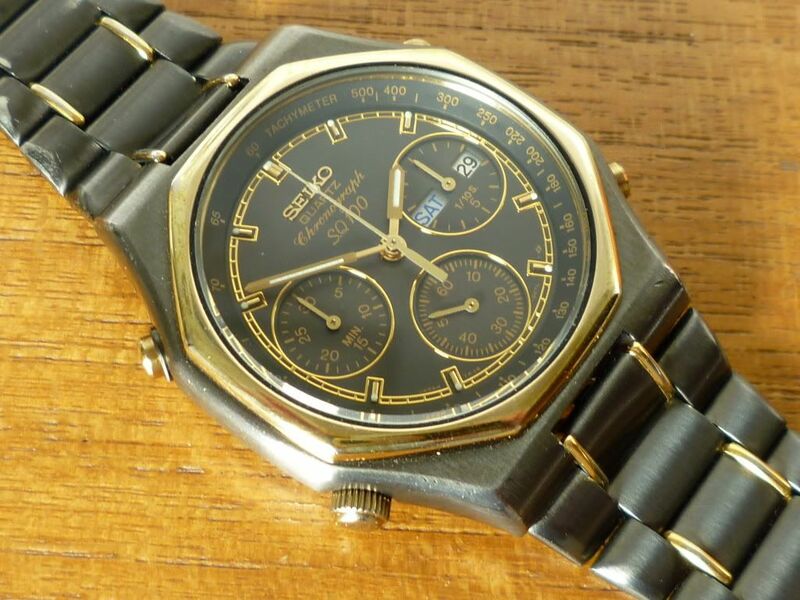 http://service.seiko.com.au/pls/seiko/f?p=104:20:7036103027065222:Go:NO:RP:: - see more useful stuff on our 'Other Links' page. I also have a small Excel database with cross-references to alternative (non-Seiko) crystals which I’ve found suitable as replacements. 2). In a ideal world, when fitting a new crystal, one would think it good practice to fit a new crystal gasket. However, when they were originally fitted in the factory, the crystals were almost certainly pressed in by hydraulic (or pneumatic) machines. Crystal gaskets are made of a hard nylon (usually black, but sometimes clear on certain models) and the tolerances are extremely tight. When you pop out an old crystal, it’s likely you’ll see a slight step in it, where it has been partially compressed (for some of its depth) by the old crystal. In theory, it should be possible to fit a new gasket with your replacement crystal. In practice it’s damned nigh impossible to press them home properly, without considerable physical effort - that’s if you can even persuade the crystal to ‘start’ squarely. 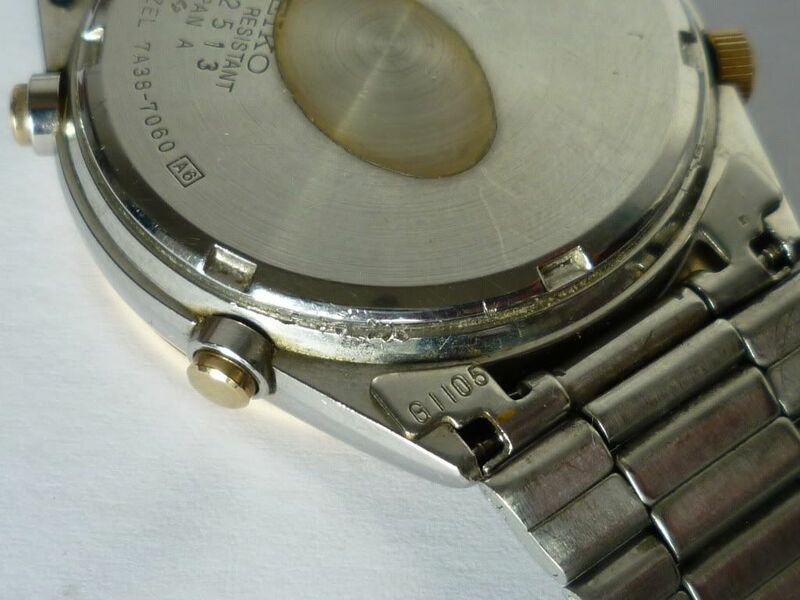 If you examine an original Seiko crystal – either the old one you have pressed out (or if you’re fortunate to have a NOS genuine Seiko replacement), apart from possibly having a polished decorative top bevelled edge, you will notice that it also has another ‘lead in’ bevelled edge ground on the underside. It is this ‘lead in’ edge which facilitated fitting the crystal, in the factory when the watches were made. It is this ‘lead in’ bevel which leaves the tell-tale ‘step’ indentation in the original gasket, where it doesn’t compress the gasket for its entire depth. As you know, I am an advocate for fitting Sternkreuz toughened glass replacement crystals, particularly their MSM range. I can’t say that they are any harder (in terms of scratch resistance) than Seiko Hardlex, but they certainly are stronger, particularly if you give them ‘a bit of welly’ pressing them back in. I have never once broken a Sternkreuz crystal pressing it back in, but I have shattered the odd Seiko Hardlex (pressing them out), and cracked a few Cousins ‘cheapies’ pressing them in, in my early days. The other thing I like about using Sternkreuz MSM crystals, is that they usually have NO ‘lead in’ chamfered edge. The edges of the crystal are ground straight and parallel. That may make them harder to 'seat squarely' initially - and to press in, but it also gives you a ‘second bite’ at the lower part of the original Seiko crystal gasket. Get my drift ? 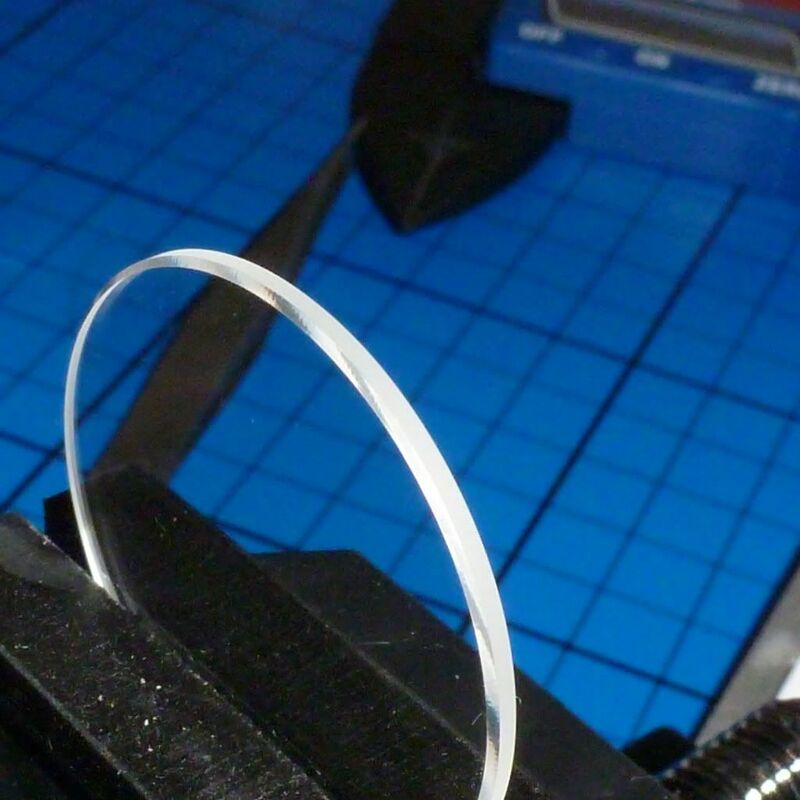 Sternkreuz also produce I section crystal gaskets in white Nylon. Their dimensions and tolerances are not necessarily exactly the same as the original Seiko, but I have successfully used them on a couple of white dialed watches. Here’s one of my two 7A38-7280 stainless 'daily beaters', which I alternate, fitted with a Sternkreuz white nylon crystal gasket in place of the original Seiko black nylon gasket. Sternkreuz MSM310 crystal naturally, too. Incidentally, Sternkreuz crystals are a fraction the price of original Seiko crystals (if you could find them). Cousins are even cheaper. 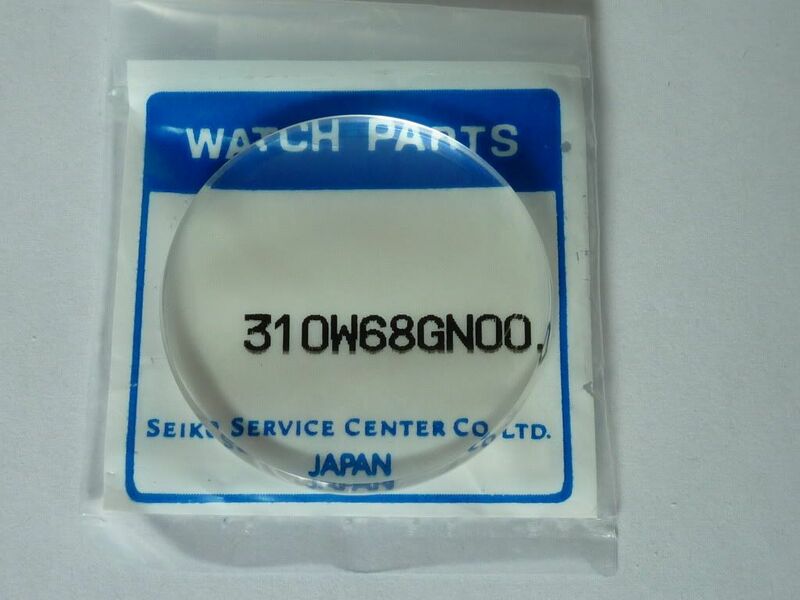 Seiko crystal gaskets part numbers are usually 8-digit, beginning with 8xxx.xxxx, as they fall into Seiko's case parts sequence. Unlike the crystals they fit, their numbering appears to be random and insignificant. Each crystal gasket part number is specific to crystal / case, but there is some commonality. For example, the 7A38-702x, 7A38-727x and 7A38-728x range mostly use a black nylon crystal gasket p/n 86565100. 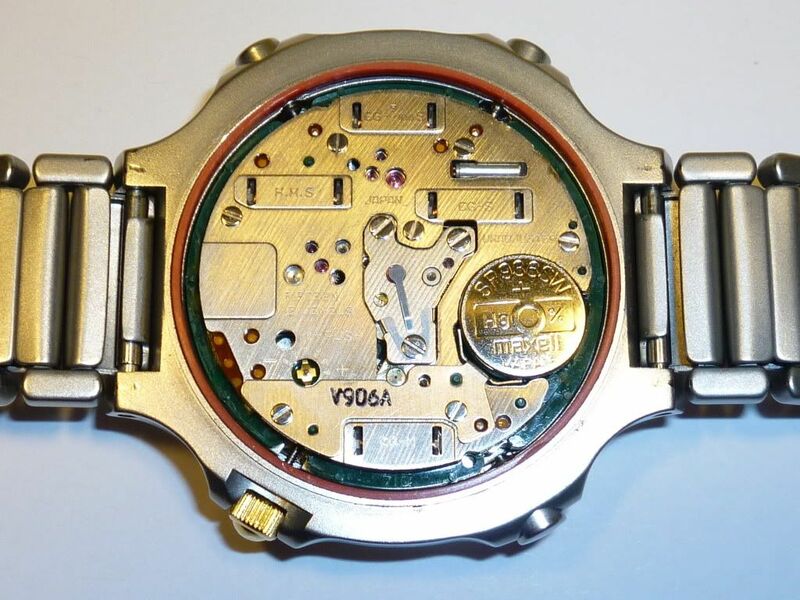 Yet perversely, the 7A38-7190 group (using the same watch case as the 7A38-727x range) use a clear version of the same gasket - p/n 86179152, as do the 7A38-724x / -725x / -726x family. All of them use virtually the same 31.0mm Ø x 1.5mm thick crystal. 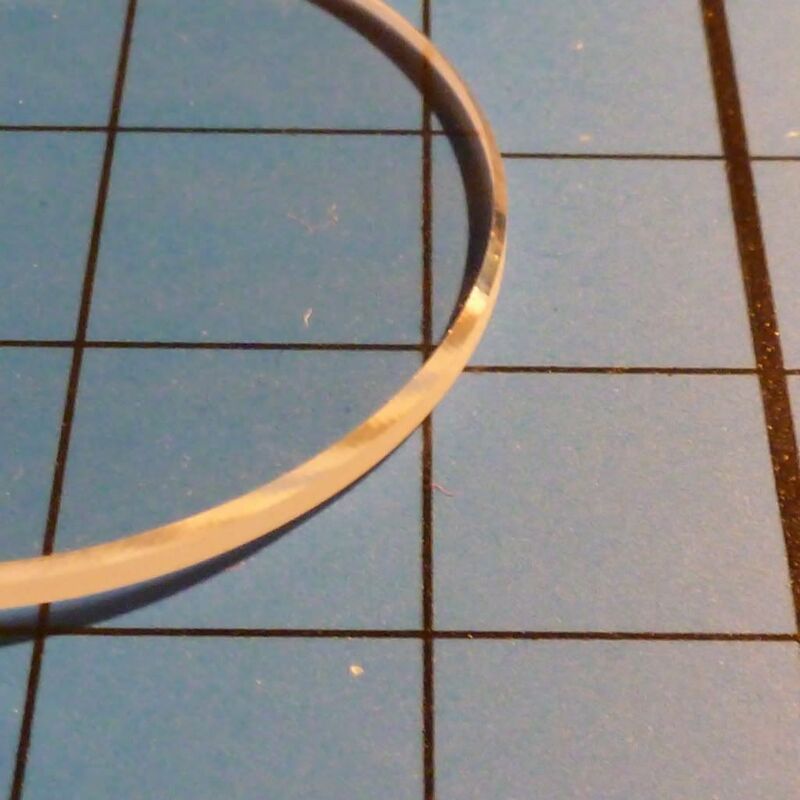 While I'm in 'information overload' mode, the part number for the white Sternkreuz crystal gasket, which I have used as a substitute (see above) is IG318310H - quite the opposite in being very 'specific' - I section Gasket 31.8(mm OD x) 31.0(mm ID) 'High'. There are two part numbers called up in the 7Axx bills of material / parts lists: FH3180B0A and FH3181B01. ‘FH’ stands for Flat Hard (rubber), and ‘318’ is the inside diameter. They are of slightly different section, in that the ‘0B0A has a slightly larger outside diameter (to match the width of the case-back flange), and also appears to be marginally thinner. As a general rule (and again something of an over-simplification), the ‘0B0A is used on Sports 100 models with a ‘Double Wave’ case-back and the ‘1B01 is used on watches with plain case-backs. There are odd exceptions to this rule, such as the 7A38-6080’s and -6090s, which are designated SQ100, but have plain case-backs, and hence used the ‘0B0A gasket to help achieve their 10 Bar WR rating. I use new OEM Seiko gaskets on watches I intend to wear regularly, as proper sealing of the case-back joint is critical to prevent moisture ingress (from perspiration). But I have used various other substitute replacement gaskets in the past, including Labanda’s (Australia) p/n FE318BA12 (the same original Seiko p/n was used on the 6M15, 6M25 and H201) and Cousins’ cheaper flat round rubber gaskets, which are made in softer rubber – with some success. Both when re-using old gaskets (which I sometimes do, on watches destined only to sit in one of my various collection boxes), or when fitting a new gasket, I always give both gasket and the case-back threads a light smear of Seiko Silicone grease. Not only does it assist with waterproofing, but also helps the gasket to slide around the flange, as the case-back is tightened. Despite the myriad included photos, he didn’t actually document the replacement of the crystal (see # 16) – but there are plenty of ‘before and after’ photos. All 7A38-704x variants use the same 32.0mm domed crystal with a flat bottom, Seiko p/n 320W46GN00, which is unique to this 7A38 case and the stainless JDM 7A38-7110. So I may as well add in (another) link to this older online article on how to replace 7A28 / 7A38 crystals, while I'm at it, eh ? On the subject of crystals Paul. 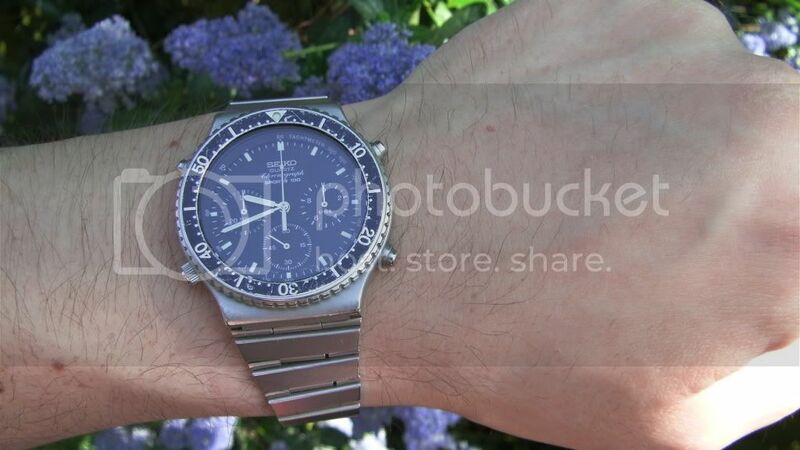 In one of your replies on RLT last year you mentioned Jules Borel's J-320W42GN00 crystal as a suitable replacement for Seiko P/N 320W40GN00 and asked the OP give you feedback if he got one. I just thought I'd let you know I ordered some parts from Borels a couple of months ago and stuck one of those on the order. It went through all right, but when the order arrived that part was down as "Can not supply". Thanks for the feedback John. (I don't have any qualms about anyone referring back to stuff I've written on RLT - I don't see the point in repeating myself). Especially in just having re-read it myself, and finding that it provided some partial answers to Simon's original questions. particulary (as I wrote at the time) that I'd phoned them and talked to Chris (female), their crystal specialist about it. Very odd. Anyway, I think I may need to revise my philosophy (in certain instances) of choosing Sternkreuz MSM over Cousins crystals. The upper photo shows my almost mint 7A38-706A on the bracelet, still with an unmarked original Seiko p/n 320W40GN00 crystal. The photo below is my 'beater' 7A38-706A on TSS Watchworx strap, which I've fitted with a Sternkreuz MSM320 replacement crystal. 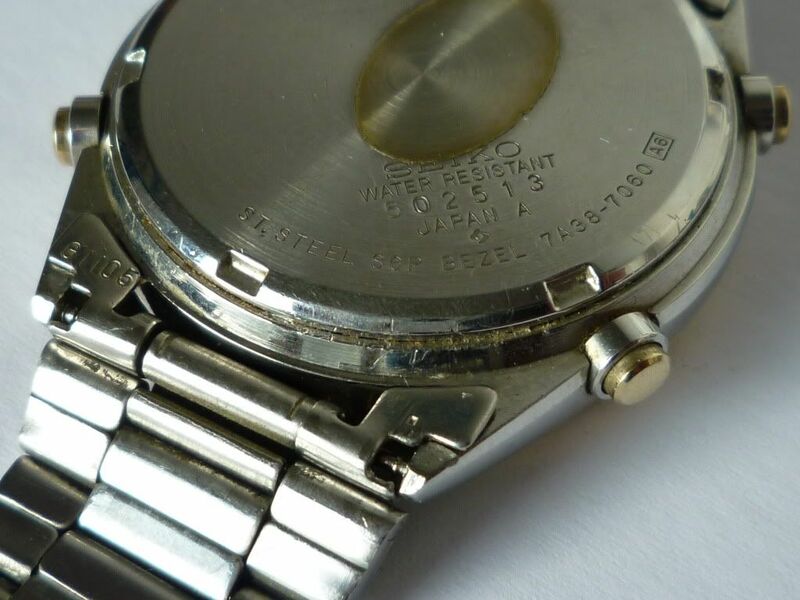 In the upper photo, you can clearly see the polished decorative bevel edge of the original Seiko crystal, which the Sternkreuz lacks. My preference for using Sternkreuz MSM crystals over Cousins cheaper equivalents is a 'historical' thing. In the early days of changing my own crystals, I used Cousins' own brand crystals - on the recommendation of DaveS, as it happens. However, I found when 'giving them a bit of welly', pressing them in those last few fractions of a millimeter, they would sometimes crack. I remember Dave telling me he'd even had them 'ping' up to 24 hours after fitting - as the stress put on the glass slowly relieved itself ! As I wrote above, I've never yet managed to break a Sternkreuz crystal in fitting one as a replacement - they're as tough as old boots. and no polished decorative beveled edge in the sizes / applications where you might need one, such as the 7A38-706x case range. It's purely a question of aesthetics and 'correct appearance' - it depends if you're a stickler for originality or just want a(ny) new glass. I should mention (and I did in that thread on RLT, in passing) that apart from the standard MSM range, Sternkreuz also offer a range of flat round crystals with decorative beveled edges - their XMF 'Special Forms' - though these aren't necessarily always available in the particular diameter / thickness you might require - as was the case with their XMF320.927 - Cousins told me it was no longer available. Anybody fancy trying to enter an order for one with their next Cousins order and see what happens ? But I digress - rambling as usual. When I first started using Cousins own brand crystals, nearly three years ago, particularly their 31.0mm Ø x 1.5mm p/n F150CMH310, the crystals they supplied came with what was obviously meant as a 'lead in' bevel on the underside. 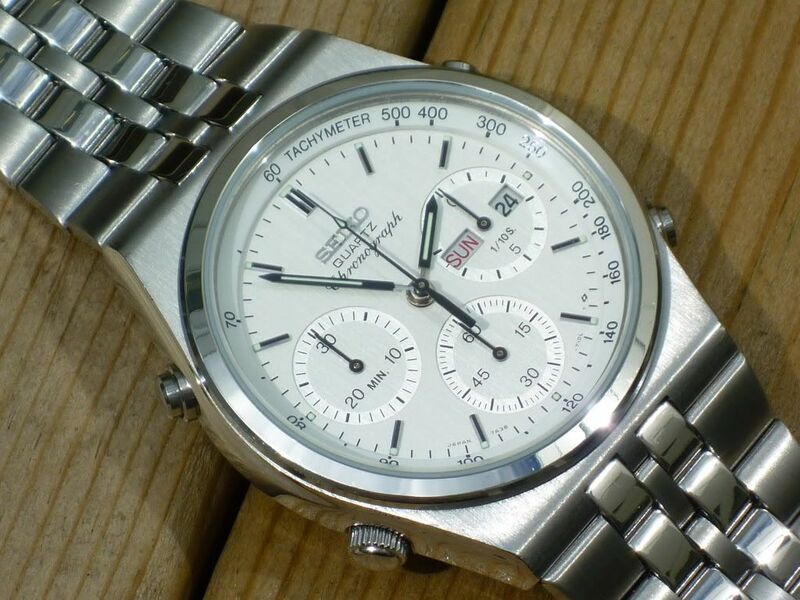 It was very similar to that which you'd find on original Seiko crystals, and was just in a plain ground semi-opaque finish - not something you'd want showing on the top surface of a glass. They also had an almost indiscernable tiny polished bevel on the top edge. So when I did use them previously - particularly on 7A38-726x's, -727x's and -728x's, that's how I fitted them - the obviously intended 'correct side up'. 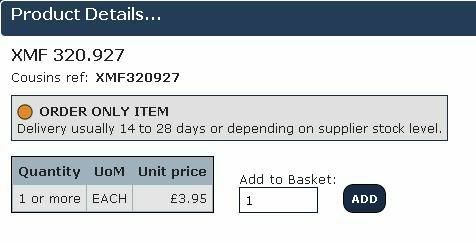 More recently, when I've ordered their own make crystals from Cousins, it seems they may have changed their specifications or supplier. On all of the crystals that I have since received (including a batch of F150CMH310, funnily enough, while I was having a dispute about under-thickness Sternkreuz MSM310s I'd been supplied with), came instead with polished 'lead in' bevel edges. Here's my Puma Y19201-70 '7A38', which I fitted with a replacement Cousins 31.0mm Ø x 2.5mm crystal - effectively upside down. The exposed polished bevel edge of the crystal may be slightly smaller than that of the original, but it's a lot closer than that of say the Sternkreuz XMF310.853 which I tried ordering, only to find that their polished decorative beveled edge was disproportionately huge ! Which means, presuming that Cousins aren't sitting on a mountain of old stock, and have since received newer supplies of their p/n F150CMH320 with the polished 'lead in' bevel, you could try ordering one, and in effect, fit them 'upside down', to get the polished beveled edge, such as one might want on a 7A38-706x or the equivalent 7A28-702x. Haven't tried it myself yet - but I may do soon. My apologies if the 7T59's crystal polished beveled edge doesn't show up particularly well in that photo. Trust me - it's there. 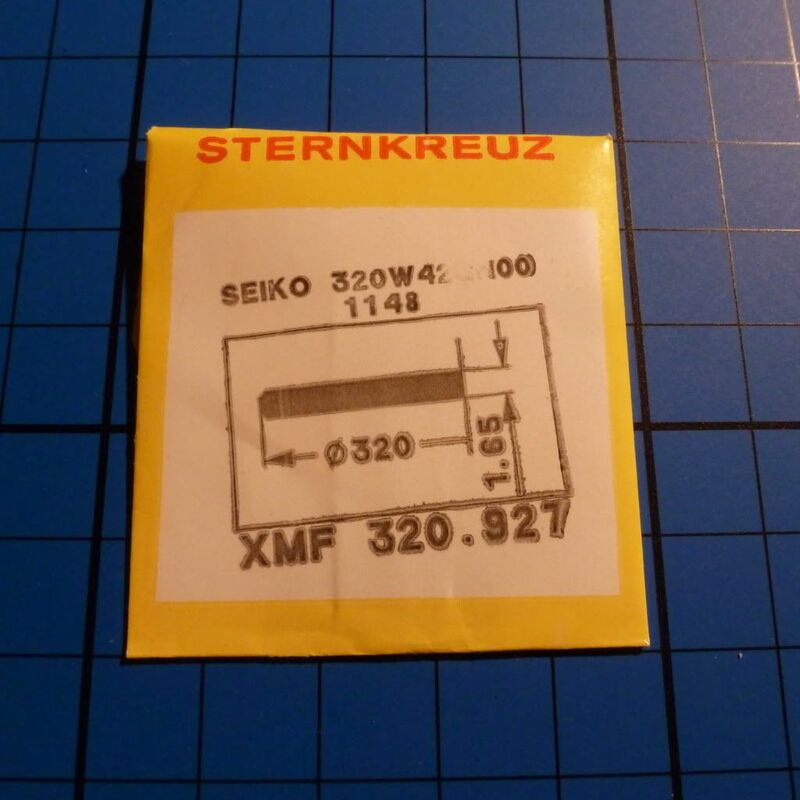 Of course, the one thing that Sternkreuz crystal p/n XMF300.860 doesn't have, compared to those other three Seiko crystal part numbers, is any kind of 'lead in' bevel edge. If you look closely at any of those original Seiko crystals, and I particularly remember gawping in amazement when I looked at the section of a Seiko 300WF0GN00 when I popped my first out of a 7A38-7010, you'll see that the 'lead in' bevel is almost as big as the decorative polished top edge bevel. The advantage the Sternkreuz XMF300.860 has, in not having a 'lead in' bevel, is that you get that all-important 'second bite' at the crystal gasket, which I explained in my reply to Simon. Obviously the latter is more likely to be up-to-date. I must be losing it. 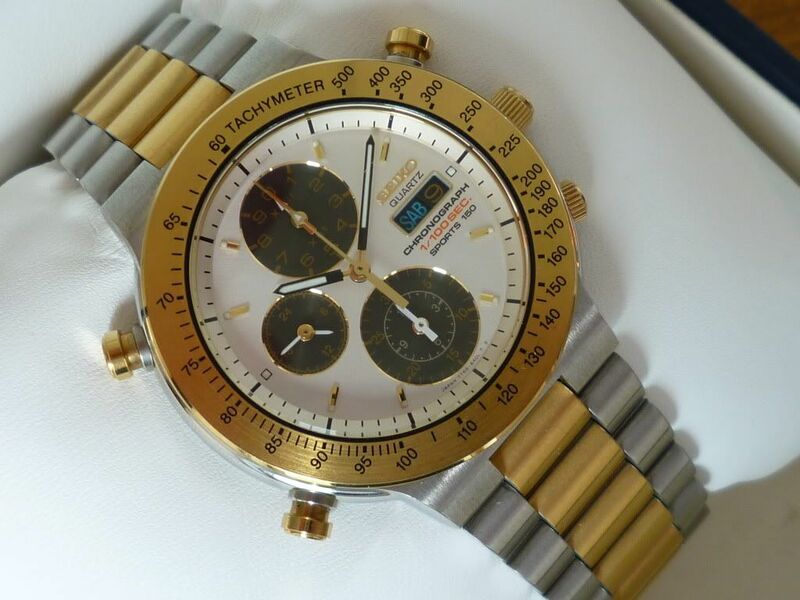 In fact, I already have tried it - on my relatively recently-acquired gold-tone white-faced 7A38-706A. 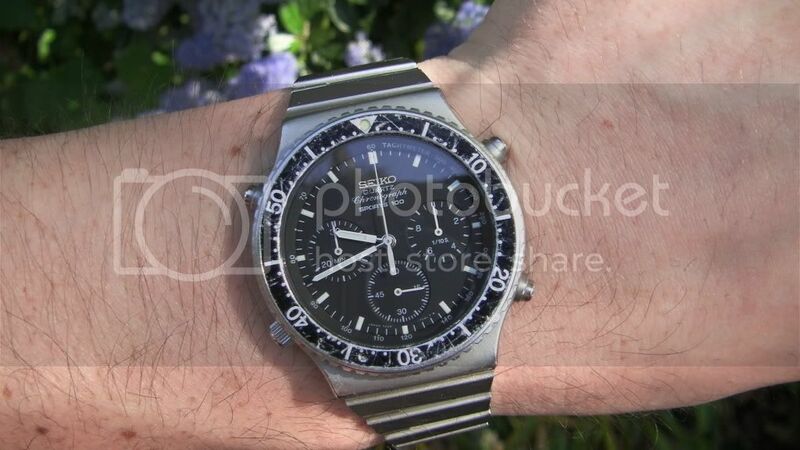 First wrist shot of my undocumented SGP 7A38-706A, with the theoretically non-existent 727O dial. This almost as received. All I've done, so far, is to replace the badly scratched and chipped original crystal with a 'cheapie' Cousins 32.0mm x 1.5mm. - although I conveniently omitted to mention that I'd deliberately fitted it 'upside-down'. It sort of works, though the resultant polished bevel edge isn't quite so sharp or pronounced as on an original Seiko p/n 320W40GN00. For those of us who are bothered about such minor details, I think it might just be worth persisting with / pursuing through Cousins. If you look at the latest online Sternkreuz catalogue, which I linked above, their p/n XMF320.927 is still shown as available on page 6. Just a little update on my crystal changing experiences. Getting the old crystal out is easy, but sometimes I find that the crystal gets pushed into the nylon die, which is a pain getting it out. I'm going to order an extra set of nylon dies for my press, with some bigger sizes which will hopefully prevent this. Putting a new crystal in is easier than I thought it would be. I thought there would be problems getting the crystal to go in straight (flat), but so far this hasn't been the case. The first was fitting a replacement crystal to my all steel 7T34. This takes a very thick, domed crystal - replacement part is Sternkreuz XMF 315.702. I'd already fitted one to my other 7T34 without any problems. Well this time I stupidly used the flat side of the die to push down on the crystal. Previously I had used an inverted die (one you would push a crystal out, into). And one very shattered crystal. Wow - these things don't crack, they turn into 1000's of pieces. And do you know, I went and followed this with another breakage. 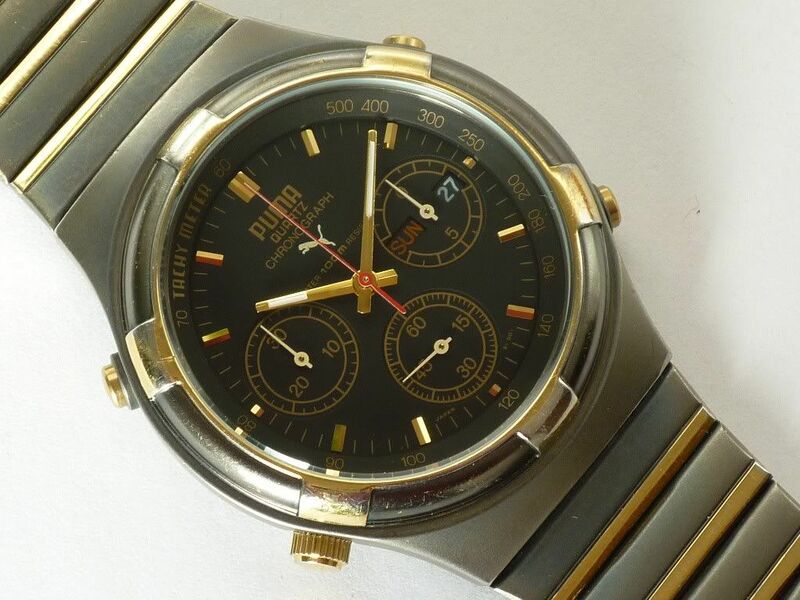 I've just got a nice 7A38-7020 from German ebay, which needed a new crystal. Well, instead of researching exactly what crystal this needed, I picked the one I thought it needed from my recently ordered selection. It looked like the right one (doh!!). So, into the press. Turn, turn, check - looking good and flat, turn. And .......... 10 seconds later another loud CRACK. And of course I knew what this meant. It's crystal shard time. I then did my research and fitted the correct one. Well, that's TWO you've got up on me, Simon. Because I've never yet managed to break a Sternkreuz crystal ! Couple of things may ring a bell now, eh ? Remember I told you how when I pressed the old Seiko crystal out of your 7T59, it shattered - and the shards went everywhere ? The other thing I might have forgotten to mention, was the old crystal I pressed out of your 7A38-7000. 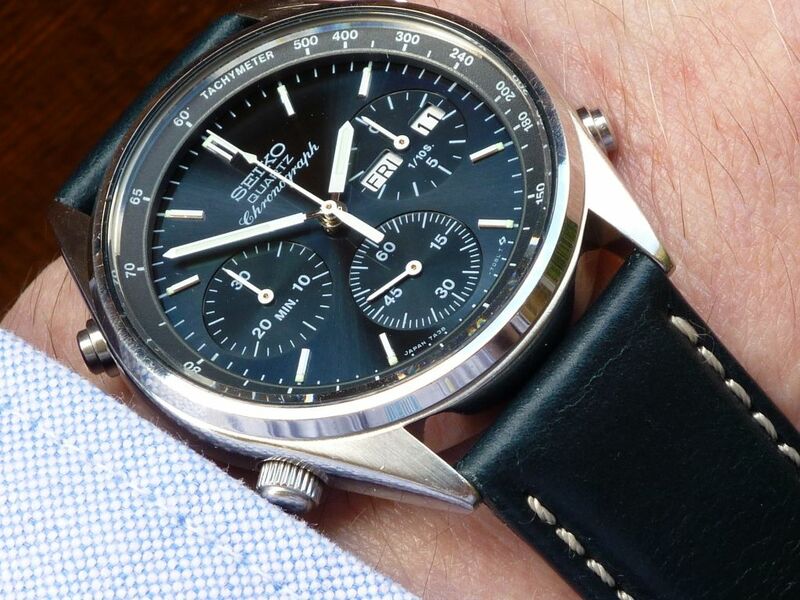 It wasn't the original Seiko. I suspect it may have been a Cousins own brand - or other similar cheap mineral glass. Did you inspect the old one I sent back ? If you did, you may notice that it has gone a little cloudy in the middle, where the stresses of being pressed had relieved themselves. That one was probably VERY close to going pop ! PS - Beginners mistake #1 - always measure not only the diameter, but also the thickness of the replacement crystal before fitting. I should mention (I did in that thread on RLT, in passing) that apart from the standard MSM range, Sternkreuz also offer a range of flat round crystals with decorative beveled edges - their XMF 'Special Forms' - though these aren't necessarily always available in the particular diameter / thickness you might require - as was the case with their XMF320.927 - Cousins told me it was no longer available. Just ordered a couple myself. 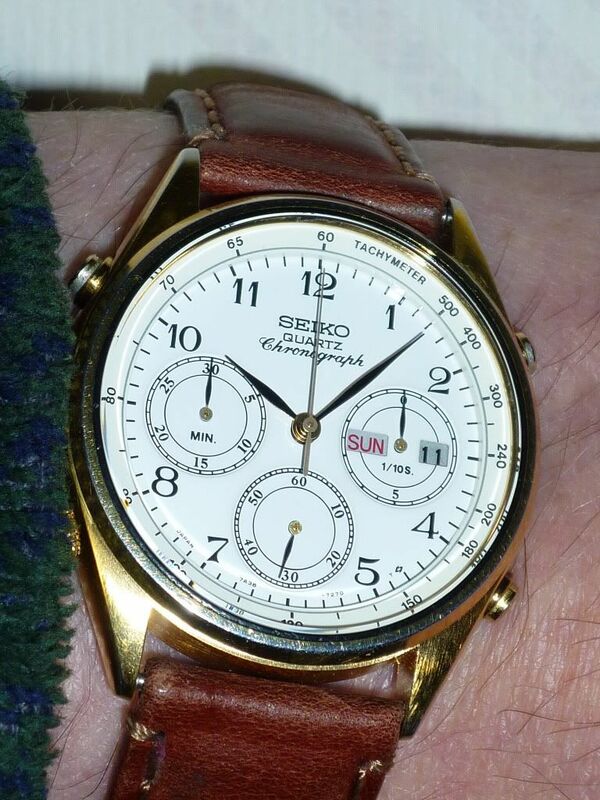 It'll be interesting to see how close the Sternkreuz p/n XMF320.927 is to the original Seiko crystals. I have a couple here Paul. I had them on backorder and they arrived on Monday. My digital calipers make it 1.6mm thick and 31.9mm across. They arrived in this morning's post and first one fitted, to my beater 7A38-706A. Unless you knew what you were looking for, the Sternkreuz p/n XMF320.927 crystal, with its polished bevel edge doesn't look that different from their plain flat p/n MSM320 crystal. Like the colours of the dial, it's hard to capture the extra 'sparkle' it gives the watch. But I know it's there. Well worth persevering, and the wait. Does anyone know what the thickness of the original 310W64GN00 is ? This crystal is used for both 7A28-7040 and 7A38-7070. I would like to replace the crystal in my 7A28-7040. I know I should press it out and measure it, but I thought it would be faster and easier to ask this question here before I do anything. As it is a "diver" model I guess the Sternkreuz MSM310 crystal is too thin, the crystal is probably 2.5-2.85mm thick ? 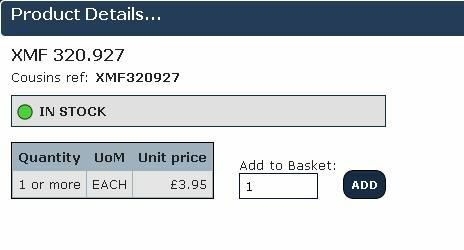 I realised that the original crystal is still available at Cousins, but for £11.30??? No, thanks! Does anyone tried the Sternkreuz XMF 300.853 crystal ? Any recommendations? Many thanks in advance! Last time I measured one, Arpad - it was 1.96mm - or near enough 2mm. I hadn't personally investigated any alternatives (to date) simply because they were still available from Cousins UK. 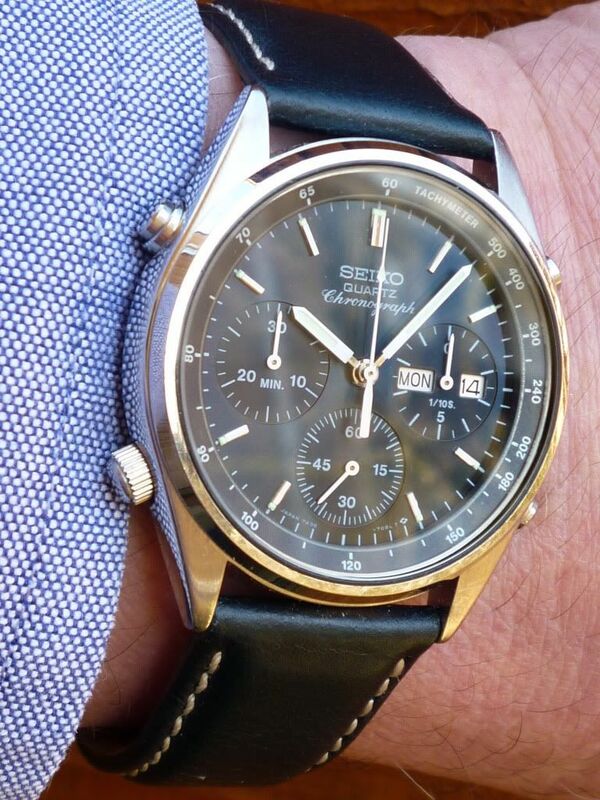 However, I had noticed that prices of several of their OEM Seiko 7Axx crystals had doubled over the last 12 months. Does anyone tried the Sternkreuz XMF 300.853 crystal ? I presume you meant to type Sternkreuz XMF 310.853 Arpad ? 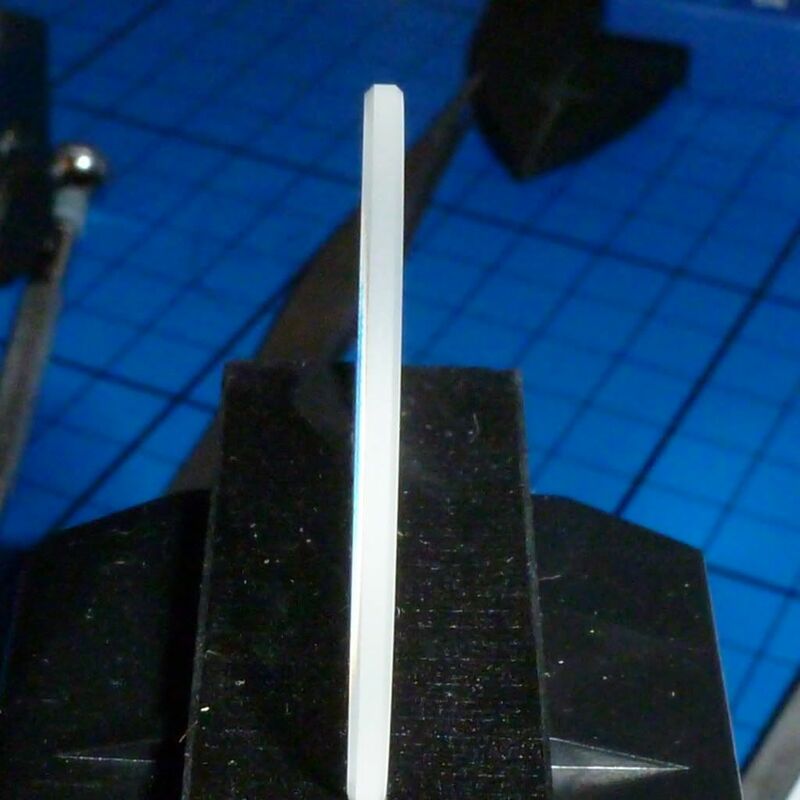 That is 31.0mm Ø and 2.5mm thick - too thick (in theory) to use on a 7A28-7040 or 7A38-7070. I bought a couple hoping to use them on my Orient J39 Divers (and Puma Y19's), and whereas they are almost the correct thickness (for those applications), the Sternkreuz crystal has a disproportionately large polished beveled edge. 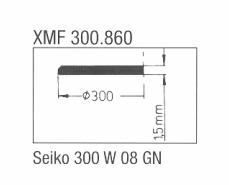 If you don't want to pay the price for a genuine 310W64GN00, you could (but I wouldn't) try XMF 310.847 (2.2mm) or 310.848 (1.9mm), but like the 310.853, from the silhouette sections shown in the Sternkeuz catalogue illustrations they both would also appear to have a disproportionately large polished bevelled edge. 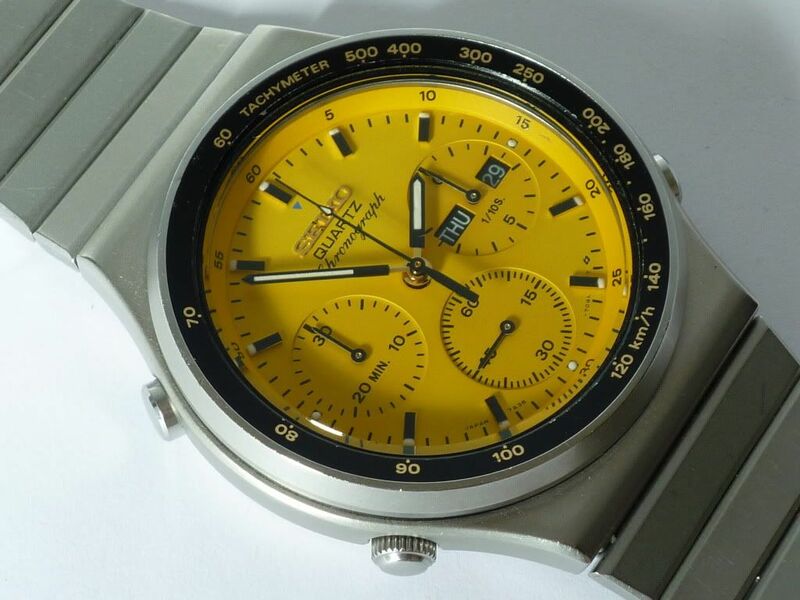 You could try the cheap(est) alternative solution - using the Cousins p/n F200CMH310 ('upside down'), but you may run into clearance issues when you come to refit the bezel, because the beveled edge is smaller than that on the original Seiko p/n 310W64GN00. Yes Paul, it was a typing mistake, I meant XMF 310.853. Actually, it`s a good news that the crystal is 2mm thick because I can try the Cousins F200CMH310. Thanks for the info. I will get back with the result as soon as I replaced it. Nevermind, maybe it`s because the bezel insert is slightly deteoriated/deflected and the Cousins crystal has a smaller beveled edge then the original one. I didn`t want make any damage so I gave it up. Therefore I fitted my spare Cousins F150CMH310. It`s not the right thickness I know, but looks OK. Maybe later I will try to fit a Sternkreuz 310.848...maybe.